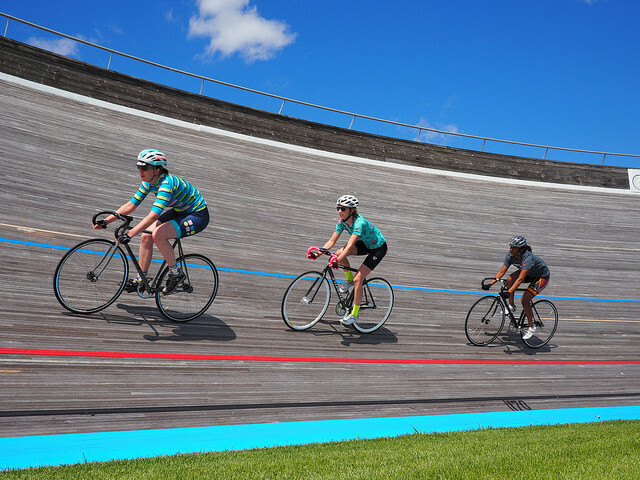 My goal in starting Koochella with my friends was to facilitate growth of competition in our local track racing community. 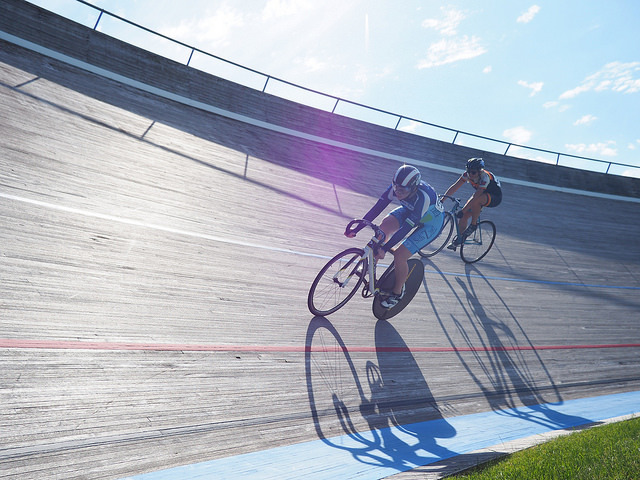 We would foster new racers and recruit our competition and make racing fun in the process. 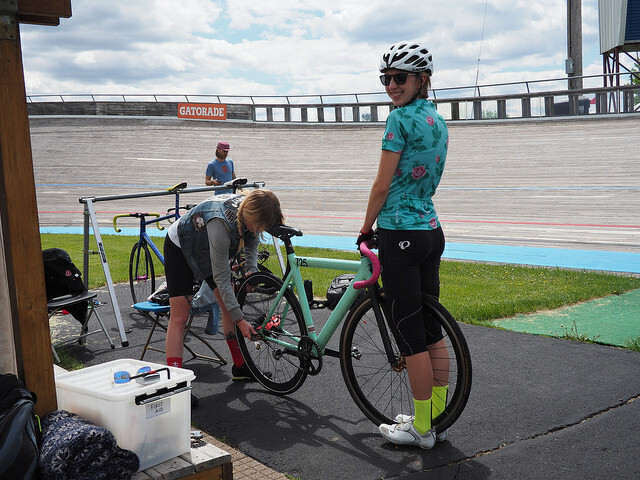 We would talk about the beginner amateur racing experience and how it can be positively transformative to the individual and community. Our track racing community has grown substantially in the three years Koochella has been in business. 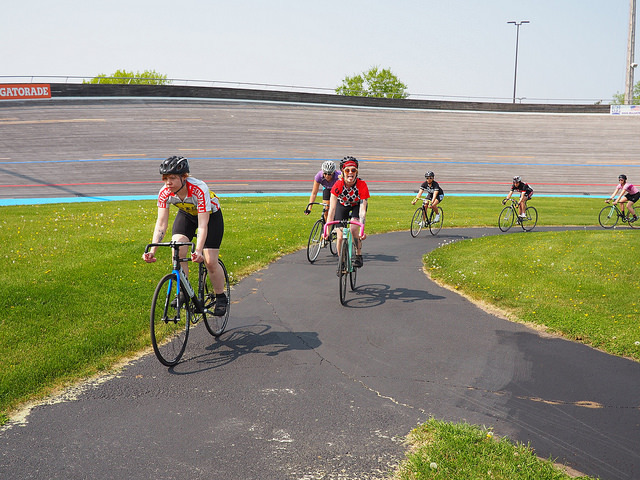 And while there is always room to grow, Minnesota track racing is on the up and up. And what’s probably most exciting to me is that Koochella can’t take all the credit. Growth is a community imperative. That’s why we’re successful. As a result, my personal focus has been elsewhere. With a great group of women in action on the Koochella team, I sought to broaden the team’s impact by extending space within the Koochella club umbrella to women’s teams starting up in other cities. 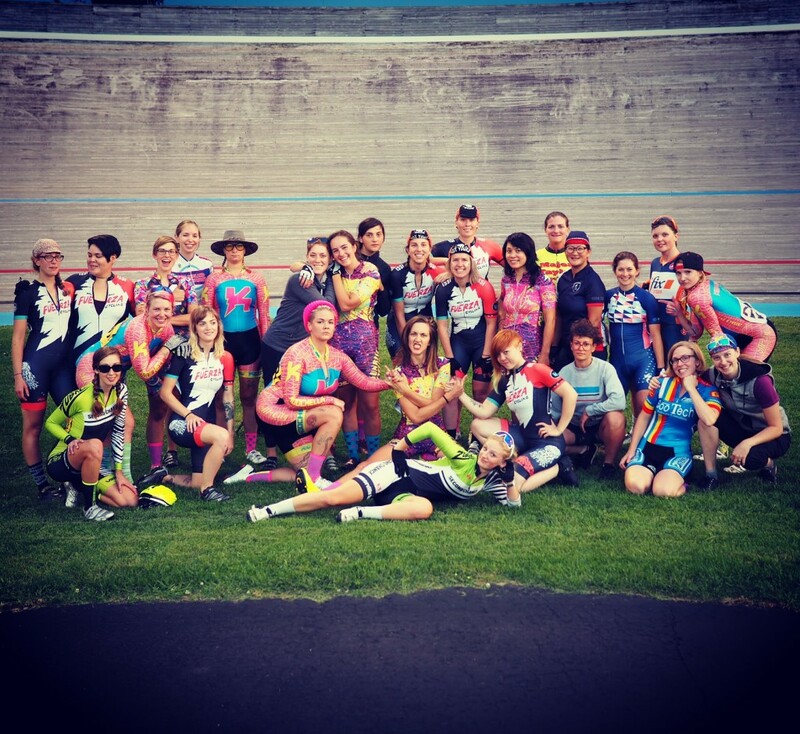 In the 2016 racing season, Club Koochella consisted of five women’s teams in four states. 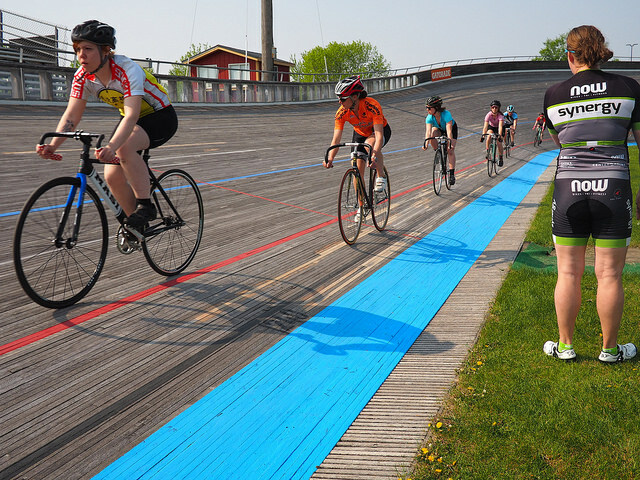 Four of those women’s teams were track-focused to help grow programs in other velodromes. I started to realize months ago that with the unique demands of my professional life and my broader personal focus that I was not the best Koochella team captain to have at home. My mission had diverged from that of the team I had helped to build. 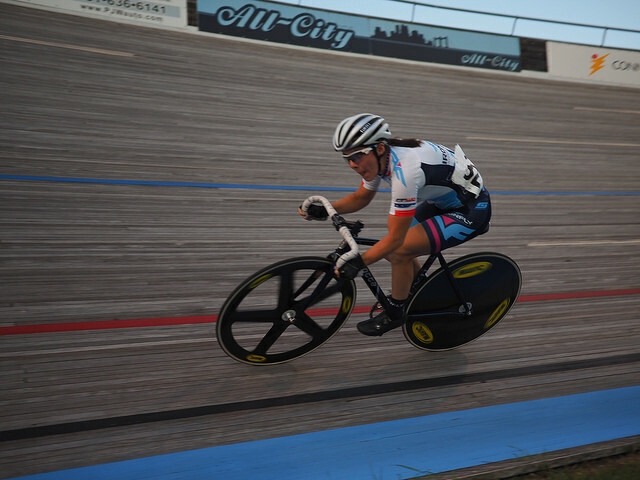 I looked around and it was obvious that I was taking valuable space and resources from an up-and-coming racer that would benefit from it far more than I.
I shared this with my teammates and they stepped up immediately and with enthusiasm, because that’s the kind of strong, capable, and motivated people they are. And, to be honest, they were running most of the team operations as it was. It isn’t a sad departure. I’m happy for where the team will go, as I always am. I am happy to have gotten to know and race alongside these incredible people. 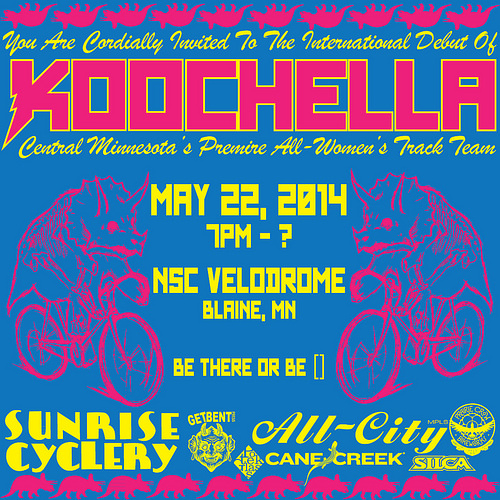 I am better for knowing every single one of the women who has worn a Koochella kit. But I know in my heart that the success of the program is more proven by what it can do without me than by what I can do for it. 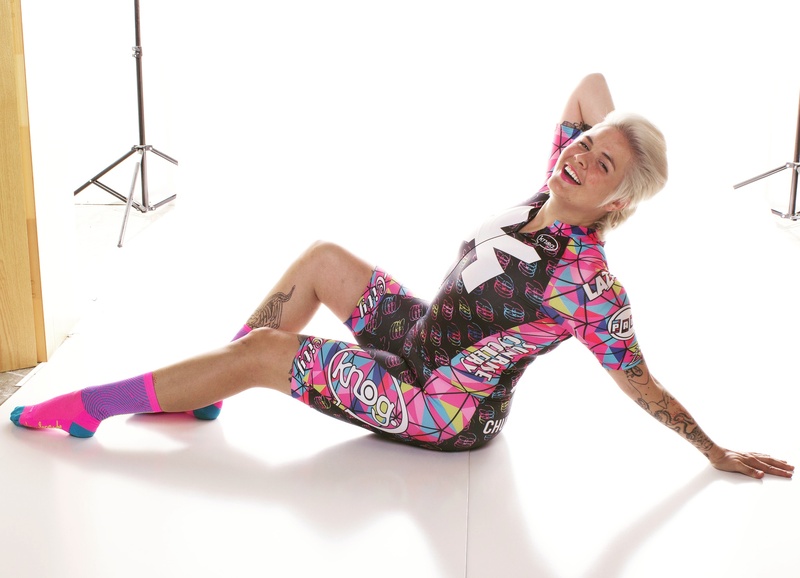 As far as what’s next for me, I’m going to keep doing what meshes with my mission statement: facilitating opportunities for women/trans/femme people within cycling, the sport and the pastime. I will continue to be active and work for good things. I will push for elevating the sport. And yes, there will be a new crazy-kitted vehicle for my personal racing- which I am able to have because I know that Koochella is in better hands than mine. Thank you, Koochella, for everything you’ve given me. I’m a much better person because of you and I’m so excited to see what you become. I know you’ll knock it out of the park. You are all diamonds. Stay dry. I started writing this post after the final night race last season… in my head… during the warm up. 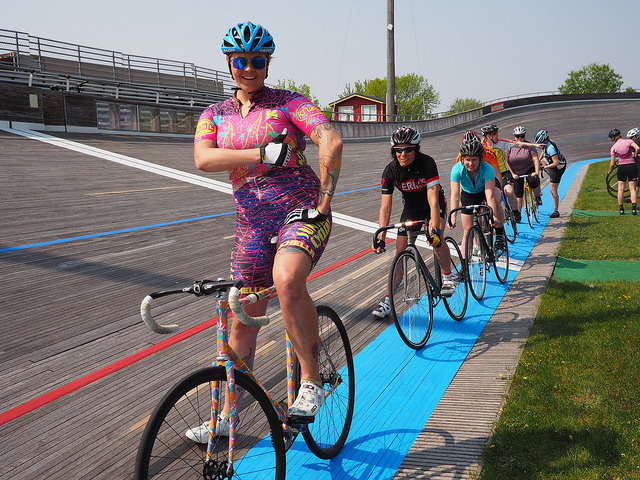 I was wearing a wrap dress for the final night (we dress up every year at the NSC Velodrome for the season closer), which was pinned like crazy to the bib shorts underneath so it wouldn’t flap around in the draft. I was warming up with Beth Franklin and Sarah Bonneville, dressed as a roller girl and Wonder Woman, respectively. As we were doing exchanges and laughing and talking, I remember thinking that as younger person I would have killed to know that women like this even existed, strong women with drive and amazing attitudes. They were just so cool in all the best ways. There we were, having grown faster and stronger with one another over months and years, looking ridiculous. 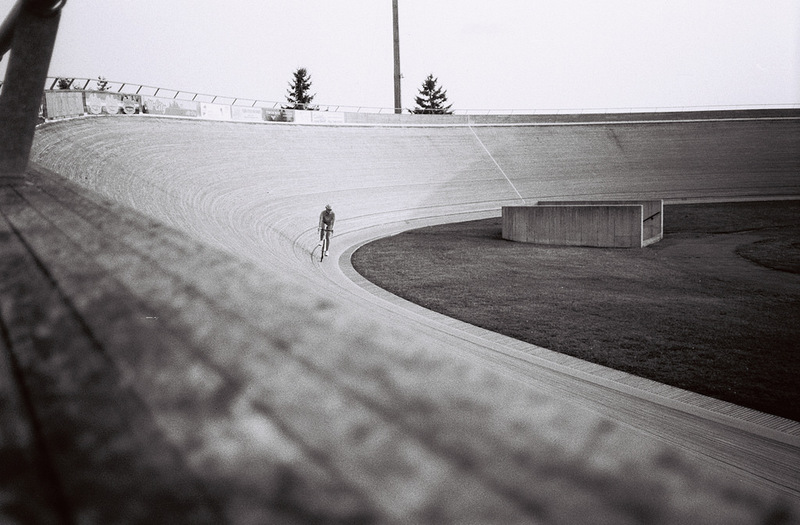 We moved fast as a single entity in the way you really only can on a steep-banked track. 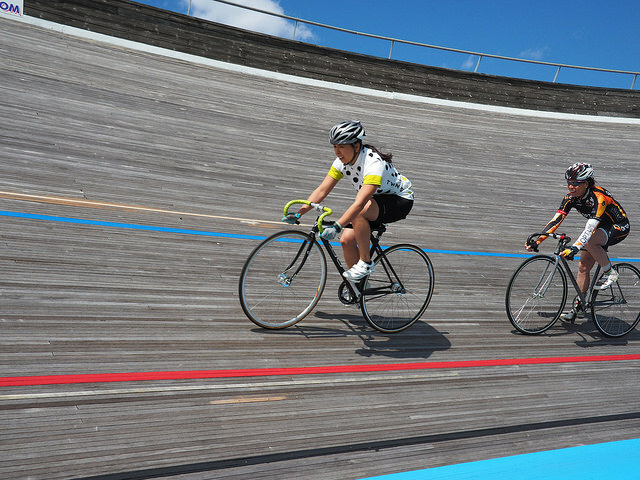 Matching speed and lines, flying over other riders, sitting super tight on each other’s wheels, listening to the tires’ low rumble on the boards. 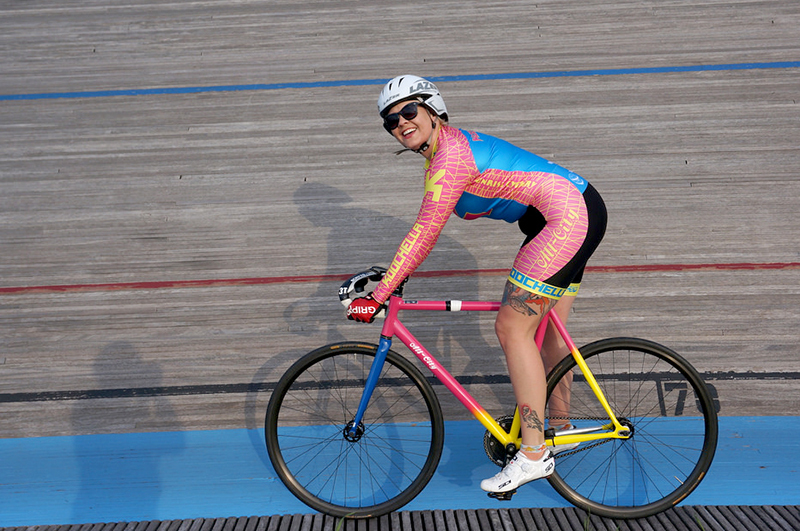 The track surface was pink and everything was beautiful. I teared up in that paceline. 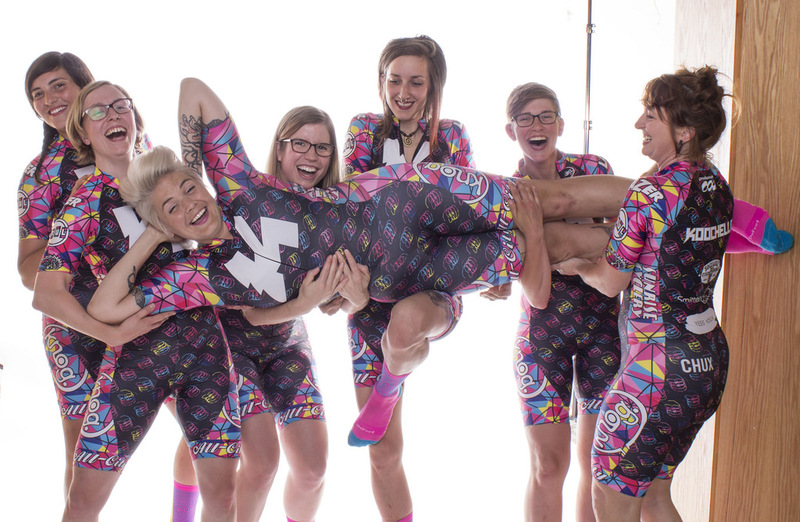 I felt so fortunate to be these women’s friend, teammate, and competition. 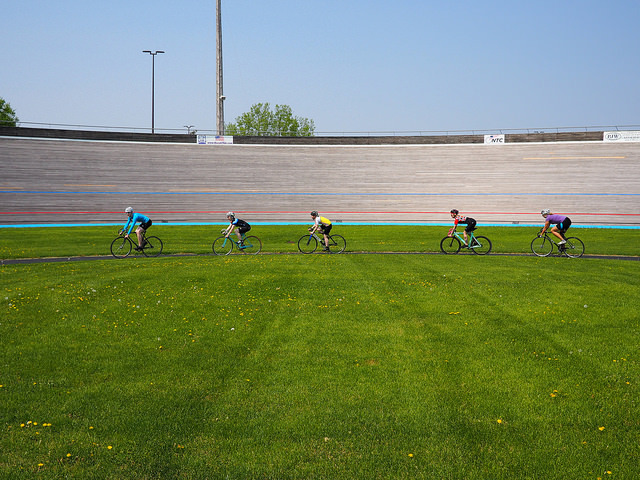 I was so grateful for what the sport and community had given to me and I was so happy to see it thriving, especially after almost having lost our velodrome the previous winter. 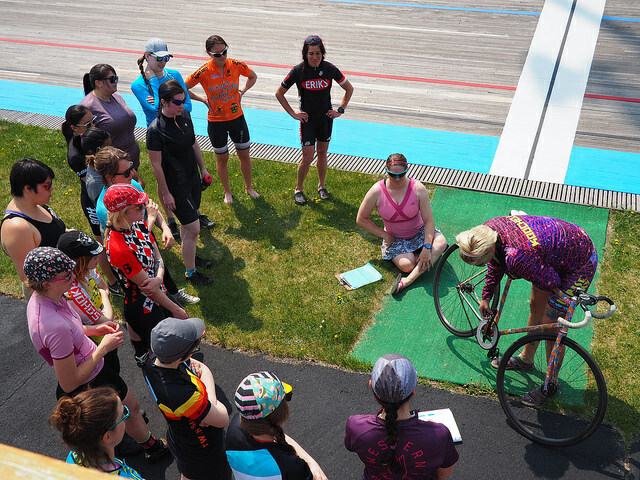 I realized as I jumped out of the paceline and came off the track to get myself together, that I was descending into an infield full of women who I also totally respected and adored (an amazing problem to have). 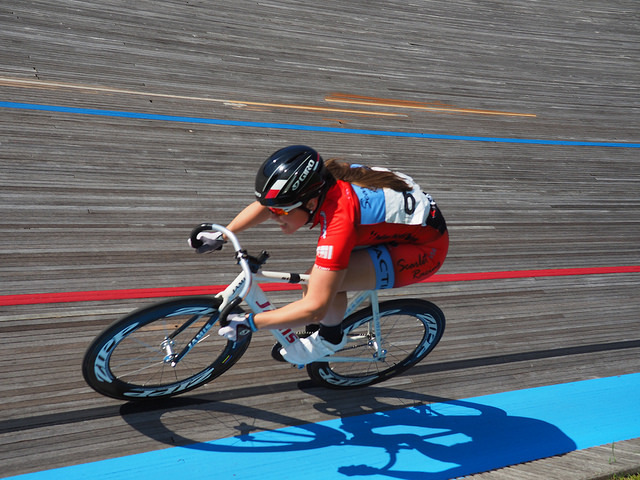 I did some slow laps on the inner track with my head down so I wouldn’t make eye contact with anyone. It was a race night, after all, and people were pulling their focus together. I was pretty certain that tears in my eyes would have set off a hilarious chain reaction. 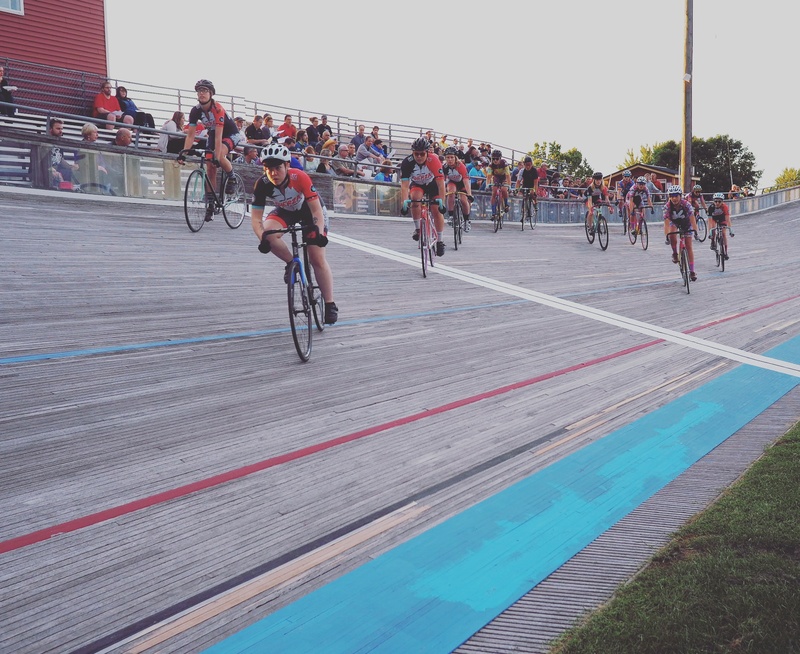 Last night was the final race night for the NSC Velodrome 2016 season. If 2015 was about understanding the value of what a racing community could mean for me, 2016 was all about seeing how it could transform other people. 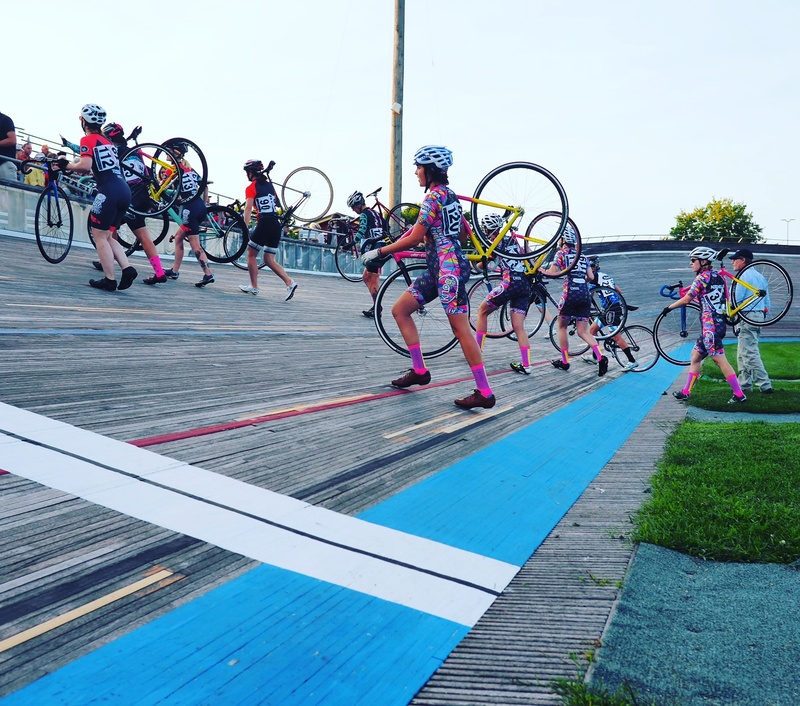 Where last season saw the introduction of a regular second women’s field, 2016 is the first complete season where a separate women’s 1/2/3 field was assumed throughout the season schedule. 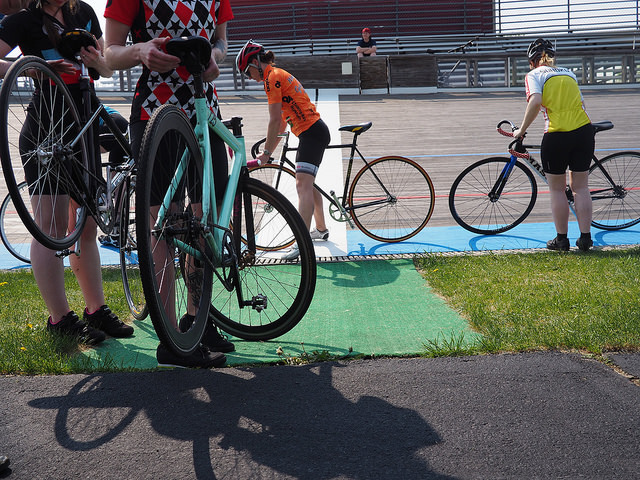 Despite being the third season in a row with 20+ women coming through the introductory clinic, we enjoyed the highest retention of new women racers yet thanks to new teams such as Fuerza. 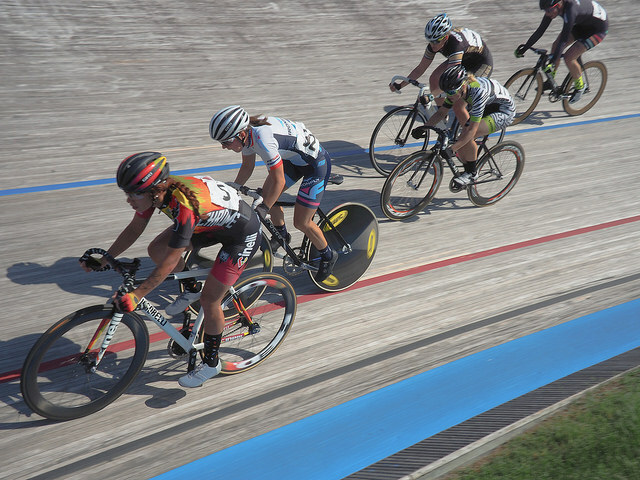 Because I wasn’t racing them, I had the pleasure of watching as the W4 group not only picked up speed, but rode in tighter and tighter formations and lines as the season progressed. It was straight up magical to watch this group grow stronger physically and mentally in the way I had enjoyed my first few seasons. 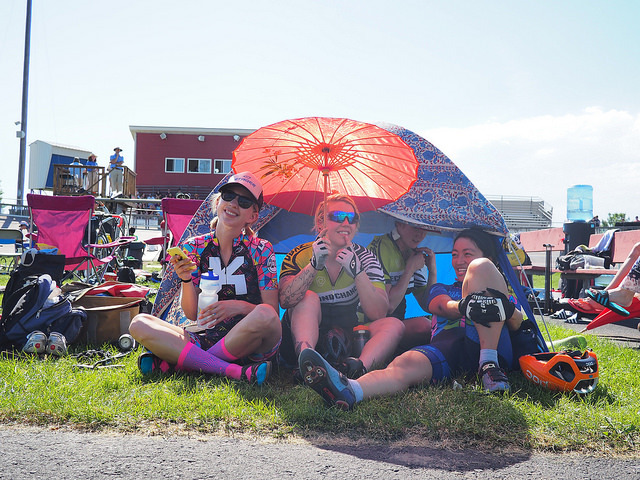 Plus, the confidence these women exuded by the end of the season both for the form of racing as well as the venue itself was straight up inspiring. They owned their sport and they owned their place on the infield. I’ve been notified by several of this year’s fresh class of racers that they are coming for me. Which makes me smile like an idiot. I know you are. I see you sizing me up over there. I can’t wait. I’m already working on my training calendar for next year in anticipation of you. 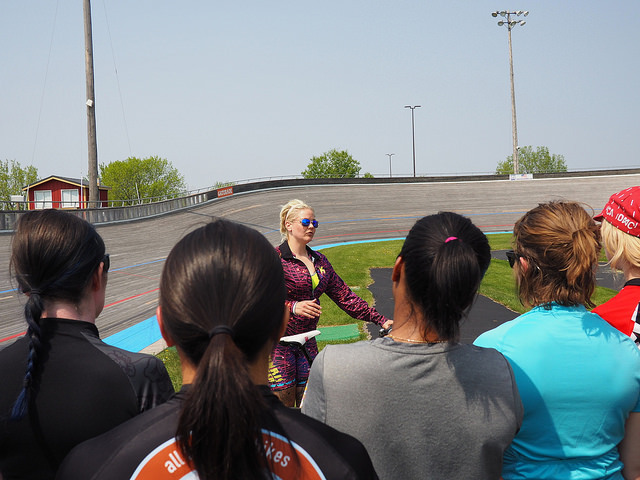 Thank you, women of the NSC Velodrome community. You’ve made me a better person over the years that I’ve been fortunate to spend with you, and you continue to make me better. I love how we build one another up and how we get stronger together. 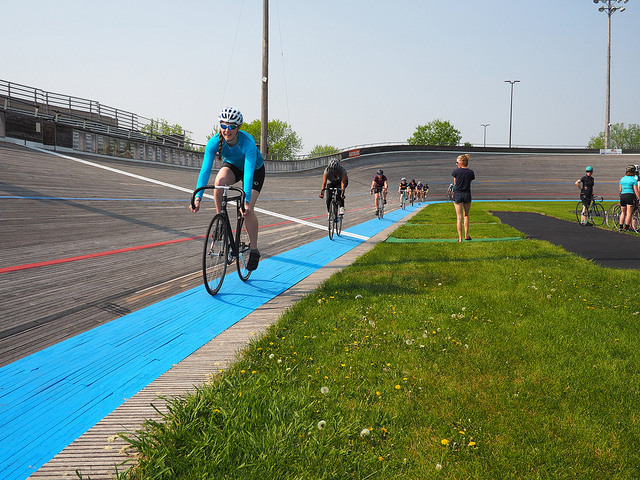 I wish we could bottle what we have and send it to every velodrome in the world. I’m totally humbled and inspired by you, and I can’t wait until next season. 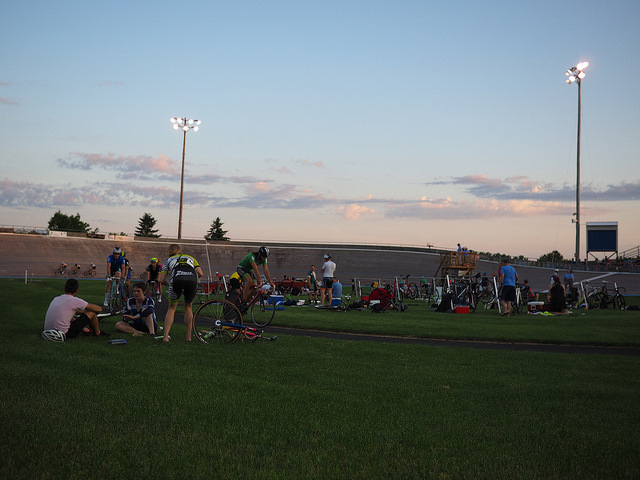 This past weekend was the Fixed Gear Classic at the National Sports Center Velodrome. We had no idea what to expect from the event. This is the first time the women of Koochella have had the opportunity to participate. 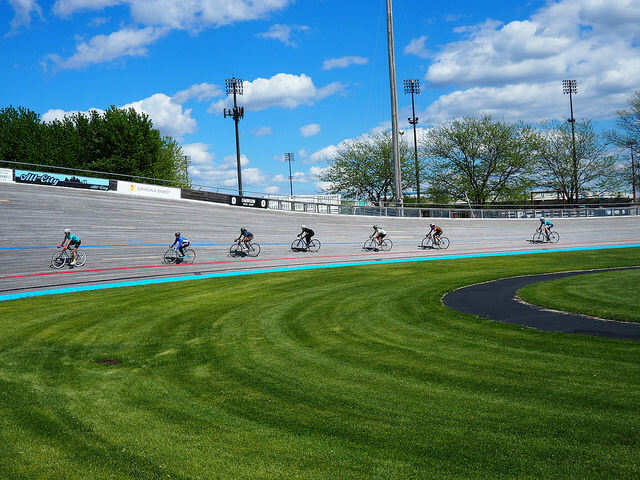 The FGC has been canceled the past two seasons as our velodrome’s future has been uncertain due to needed repairs and associated funding. 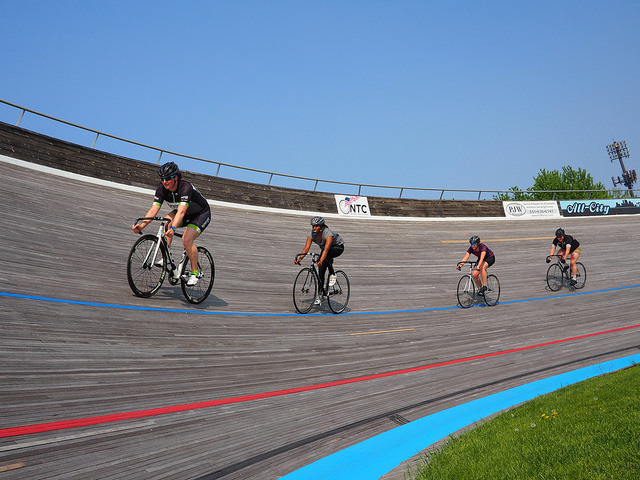 This year, with repairs completed and our track freshly repainted, our track had the opportunity to host top notch racers from around the country. And we hosted our hearts out. 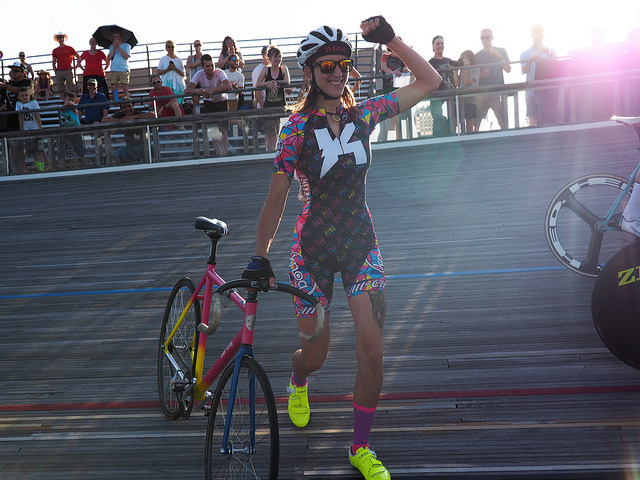 Koochella itself had the pleasure of hosting two of our biggest heroes: Jo Celso of Cinelli Chrome and Veronika Volok of Shespoke- both monsters of the track and fixed gear crit… and generally inspiring and lovely people. The wonderful thing about events like this is that you gain new heroes from it. There were so many fast and fresh new faces. 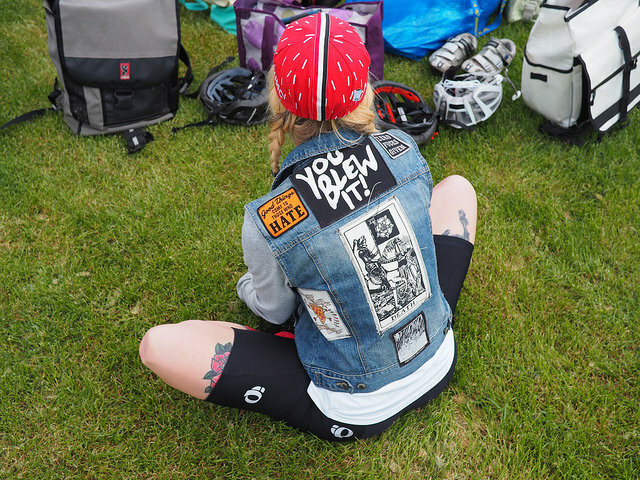 The women of Koochella soon found themselves surrounded by loads of new racers to admire. 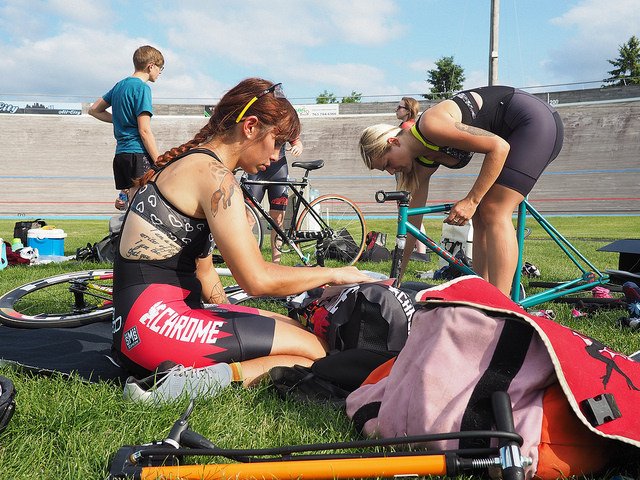 It was completely humbling to be racing in a field alongside some of the fastest women in the nation… and completely amazing to be able to hang out with them on the infield between races. The competition was fierce. The racing was easily the hardest anyone on Koochella had done. It was the kind of humbling experience that makes you stronger. I will happily speak for myself when I say I didn’t feel like the competition that our guests deserved. I’m going to do my best to be that competition next year. At any rate, Koochella didn’t go home completely empty-handed. 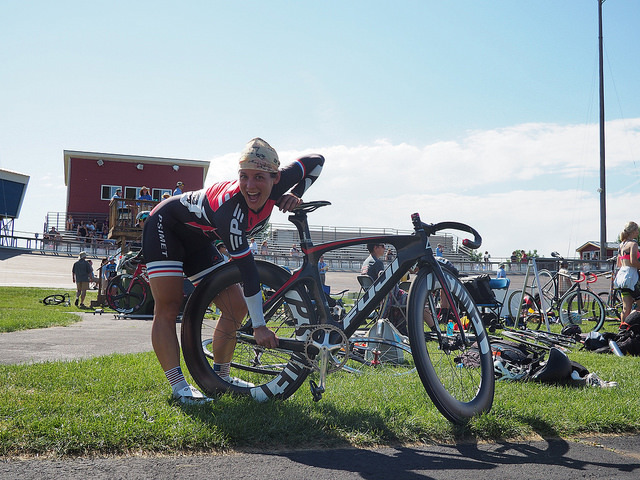 Sara Bee handily took home the win on the track stand competition. A big thanks to Linsey Hamilton for taking the lead on race coordination. You killed it. 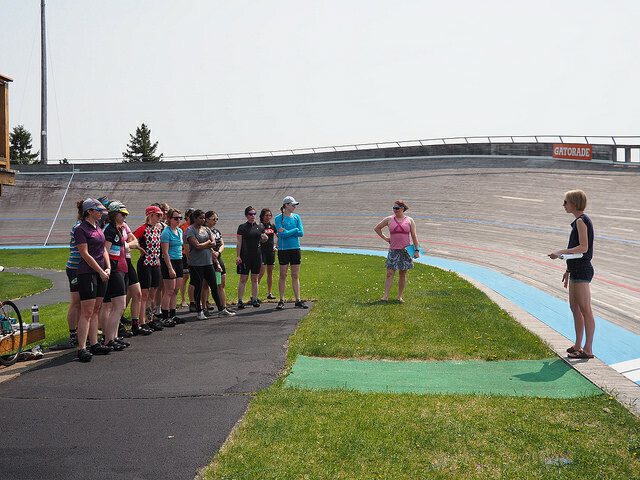 And a massive thanks to the NSC Velodrome community for making it so easy for women racers to thrive. Above is the prize list for the event. 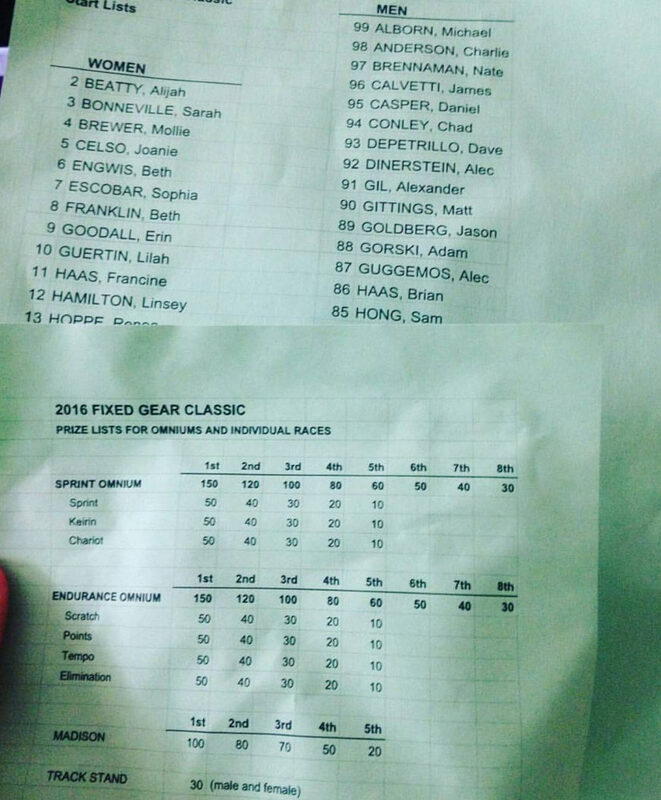 You’ll notice that prizes are equal, so gender isn’t noted in the spreadsheet. 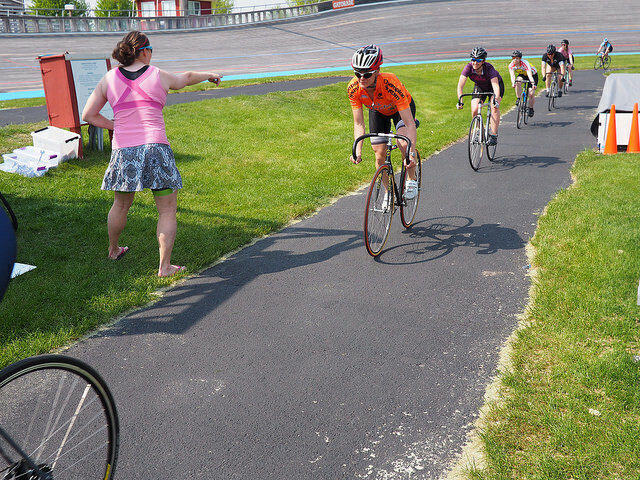 Because that’s just how it is at the NSC Velodrome. We’re very proud to be a part of the community and we can’t wait to see you all next year. Baby Ducks Take the Track by Storm!